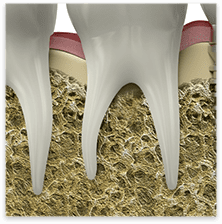 At Summit Dentistry Dr. Lopez DDS in Spokane, Washington, we offer root canals for any patients who may have decayed or infected teeth. The root canal procedure is designed to save the tooth in question. The procedure itself involves scooping out the pulp, nerves, bacteria and decay that may reside inside the tooth. The empty space inside the tooth is then filled with special dental materials. The end result is a healthier, stronger tooth that is free of decay or infection. Good candidates for root canal therapy in Spokane include patients who may be experiencing severe toothache or sensitivity, or if there is swelling to any of the tissues surrounding the affected tooth. Dr. Lopez and his staff are trained to find the source of the pain and eliminate it using the latest dentistry tools and techniques. We offer a comfortable atmosphere and friendly staff who will tend to your every need. We can get the pain to stop and can provide you with a solution that leaves your teeth and your confidence intact. If you have heard bad things about root canals, that they are painful or uncomfortable, realize that the most painful part of a root canal oftentimes happens during the infection stage, before the patient even comes into our Spokane dental office. If you want the tooth pain or sensitivity to stop and you think you would benefit from root canal therapy, we urge you to call Summit Dentistry Dr. Lopez DDS today for a consultation.